After seeing that entry-level houses geared toward first-time home buyers have become popular with retirees, D.R. Horton announced Tuesday that it is establishing a new brand for “active adults” who are looking for their last home. D.R. Horton, the nation’s largest home builder, said its new Freedom Homes brand will be available in at least eight markets by the end of the 2016 fiscal year and in about one-third of the company’s 78 operating markets a year later. “We’re excited to offer Freedom Homes as an affordable alternative for active adults seeking a carefree, low-maintenance lifestyle in an age-restricted community, ” Chairman Donald R. Horton said in a prepared statement. The company is in the early stages of developing the Freedom brand, so it can’t say what the average size or price of the houses may be, said Jessica Hansen, vice president of investor relations. Houston is the first Texas city where the company will offer Freedom Homes, but it plans to offer them in Florida, Texas and Arizona, she said. The company offers a wide range of houses that includes D.R. Horton, Express and Emerald with prices ranging from $100, 000 to over $1 million. The company also offers mortgage financing and title services for home buyers through its subsidiaries. The unveiling of D.R. Horton’s new brand came on the same day that the Commerce Department reported that Americans bought new homes in June at the fastest pace since February 2008. New-home sales rose 3.5 percent to a seasonally adjusted rate of 592, 000. Purchases of new homes climbed 10.1 percent year to date. Low mortgage rates along with a lower unemployment rate are credited with boosting the housing market, which is just beginning to recover from the bust of nearly a decade ago. Last week, D.R. Horton reported an increase in third fiscal quarter earnings with the entry-level Express Homes brand accounting for 23 percent of closings and 16 percent of its home sales revenue. 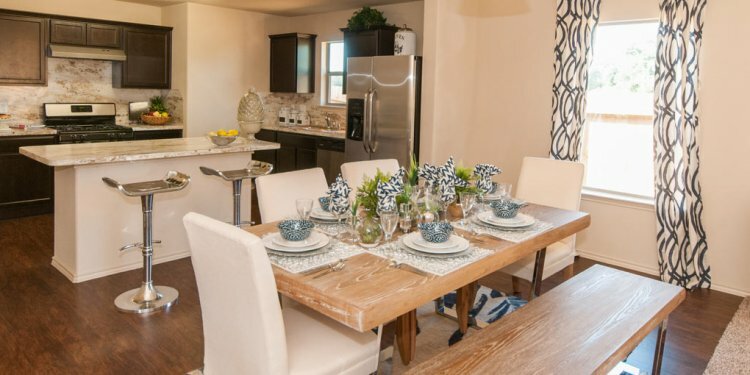 The company was surprised to see that Express houses were as popular with empty-nesters as first-time home buyers. When Express was launched in Florida, up to 45 percent of buyers were investing in their last home, said President and CEO David Auld. “And that’s something we are taking note of, and making sure that we’re in a position to accommodate those buyers, ” Auld said during a conference call. The company reported that net income for the second quarter through June climbed to $249.8 million, or 66 cents a share, from $221.4 million, or 60 cents, a year earlier. D.R. Horton, founded in Fort Worth in 1978, plans to build its own home in north Arlington on 6 acres along the Interstate 30 frontage, just east of North Collins Street.